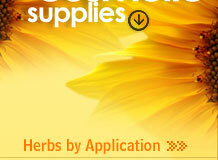 Wholesale suppliers and exporters of Dried Ginger, Ginger Root, Fresh Ginger and Ginger Rhizomes. A slender, perennial rhizomatous herb, leaves linear, sessile, glabrous, flowers yellowish green in oblong, cylindric spikes, ensheathed in a few scarious, glabrous bracts, fruits oblong capsules. The rhizomes are white to yellowish brown in color, irregularly branched, somewhat annulated and laterally flattened. The growing tips are covered over by a few scales. The surface of the rhizome is smooth and if broken a few fibrous elements of the vascular bundles project out from the cut ends. a-Curcumene, a-curcumene, B-D-curcumene, a-bergamotene, B-and camphene, y-bisabolene, B-bourbornene, d-borneol and its acetate, clamene, d-camphene, car-3-ene, a-cedrol, citral, citronellol. Dust your body in with warm, spicy, sensual Ginger powder, apply a little lightweight clothing then head off for the evening in a fragrant cloud of eastern blooms and West Indian warmth. On cold days, comfort yourself with a dusting of Ginger before you put on your woollies and imagine you're in a spice garden, not a suburb. The aromatic freshness starts at your feet and spreads to the rest of your body while strengthening your limbs and penetrating your mind and heart with joyful lightness. Gentle enough to use everyday, this soymilk-enriched formula seals in essential moisture and proteins as it invigorates and purifies the hair. The raw ginger is acrid, thermogenic, carminative, laxative and digestive. It is useful in anorexia, vitiated conditions of vata and kapha, dyspepsia, pharyngopahty and inflammations. The dry ginger is acrid, thermogenic, emollient, appetiser, laxative, stomachic, stimulant, rubefacient, anodyne, aphrodisiac, expectorant, anthelmintic and carminative. It is useful in dropsy, otalgia, cephalalgia, asthma, cough, colic, diarrhoea, flatulence, anorexia, vitiated conditions of vata and kapha, dyspepsia, cardiopathy, pharyngopahty, cholera, nausea, vomiting , elephantiasis and inflammations. It is also much used in several domestic preparations. Crystalized or infused Ginger suppresses nausea. Ginger tea eases indigestion and flatulence, and reduces fever. 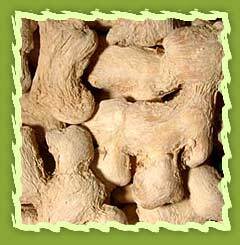 the root is warming to the body, is slightly antiseptic, and promotes internal secretions. cinnamon, clove, eucalyptus, geranium, lemon, orange, rosemary, spearmint - Blends especially well with orange and other citrus oils.